Summer is a season with its own drummer and it presents fresh challenges for parents. New schedules and no routines can throw things out of whack and we’ve always had to get more hands on with our little ones. But now they’re growing up. Kids coming home from college or off from high school for the summer can mean more family time and fun or more stress and battles. The challenges are different and there are key things parents need to do. 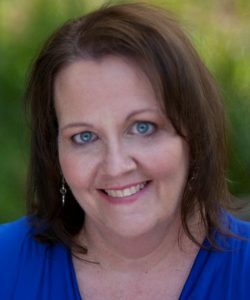 Mighty Parenting podcast hosts Judy Davis and Sandy Fowler discuss strategies for dealing with your teenager and college student this summer so you can avoid conflict and maximize family time. Summer is a time that can be fun but we can also run into a lot of family friction and power struggles. Parents can be shocked when their college-age child comes home for the summer. When our kids come home from college for the summer, we need to remember they’ve had experiences we don’t know about or understand, and those experiences have changed them. We also need to remember that we’ve changed too. If we expect things to be horrible, we’ll likely get what we expect. If we expect things to be perfect then we’re setting ourselves up for failure. But we can manage expectations with a few conversations and those can start before summer even gets here. Find out what your child wants out of this summer. Asking them this simple question opens up a treasure chest of information and lets us ask follow-up questions to understand more of what’s happening with them and how they’re feeling. And when we don’t point out the obvious flaws, they’ll see that we have faith in them. What do you want out of the summer? What do you mean by that? How long do you think that will take? What does that look like? How will you go about doing that? How will that help you/be good for you? How does that support you for your plans for next year? It sounds like you’re really __________. Do you think that doing ____________ will take care of that completely? What do you need from me/us to make that happen? Asking these questions also helps to identify if they don’t have a plan at all. Knowing this ahead of time helps to avoid the inevitable friction that happens when they walk in the door with no plan. You are still the parent so it doesn’t mean their plan will happen no matter what. You still need to draw boundaries but going about it from a place of curiosity lets them know you value their thoughts and believe they can plan it. The second step is to coordinate their plans with the family plans. Our college kids come home for a few brief visits during the school year and often times we treat them more like a guest—cooking their favorite foods, doing/helping with their laundry, adjusting our schedule to make time to spend with them, etc. After that, they may expect summer to be the same. We need to give them a heads up on what our expectations are. 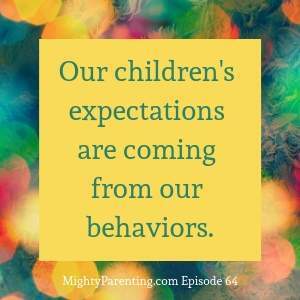 Our kids’ expectations are coming from our behaviors. They are responding to the way we’ve acted in the past. Let’s talk about boundaries and house rules. Let’s come up with a plan together that gives you the freedom you’re used to while respecting us and our needs. – These are the things that have happened and I can totally see why you would want to do this, but this is the problem it causes for me. How can we manage this? – Formula: This is what I see. This is what I need. How can we find a solution that works for both of us? All of these questions and conversations are based on respect. If they are not being respectful, contributing member of the family then this does not apply. If you act like an adult you get treated like an adult. If you don’t act like an adult then you don’t get treated like one AND privileges go away when they don’t respect the family or the house rules or carry their weight. Most of the same points apply to high school kids but they are younger and have different experiences. So, we need to stay age appropriate. We need to acknowledge they are growing up. Point out where they’ve handled responsibility well, where they’ve gotten more privileges and how they’ve handled that well. Let them know you see all of this, you see them growing up. Ask them about their plans for the summer. You can use the same types of questions to do this. But remember, they don’t have the same executive function skills or life experience as our college-age kids. They may need more guidance to be able to fully think through their plans, but they still don’t need us to do it for them. Be curious. Ask questions. Give them time to think and digest. It’s important to start them thinking about the long term. This helps them see the options and possibilities and the steps to take to get to their goal. Have you thought about a job? Volunteering? Have you thought about how you’ll be a contributing member of the family? Our culture encourages us to simply enroll our kids in stuff. This is our opportunity to help our kids focus on the things that add meaning to their life. Studies repeatedly show that having meaning in our lives is essential for human beings. This is not one massive conversation. This is the beginning of many conversations that can help them find their way. We are not advocating for your child to have a busy summer. 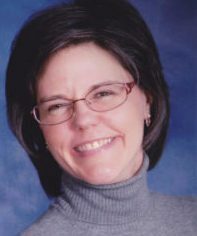 We are advocating for your child to have the summer they need, whether they need to have lots of downtime and rest, they need to get bored, they need to work a job, they need to live away from home for an internship, they need to help out at home or in the family business, or anything else they need. Summer is the perfect time to take a pulse on your child’s mental health. Listen not only to the words they say but what they do, how they’re behaving. If you think something is off, trust your gut. If you are concerned or want to be better prepared, get a copy of Warning Signs.